Before we can enhance data, it needs to be cleansed. Before it can be cleansed, it needs to be matched. But what exactly is data matching, and why is it important to marketing? Take a look at any one of your customers or clients and think about what can happen to them over the course of a year. It is not unrealistic for a person to get married, move home, find a new job and change their mobile phone number within the space of 12 months. For a business hoping to use personal data for marketing purposes this is bad news: your record of this customer is now much less useful than it was, if of any use at all. Unless said customer has gone to the trouble of updating a registered profile, it means the name, address and contact details you hold for them are wrong. If you want to continue engaging with them (or any of your customers in fact, as personal data naturally decays at a rapid rate) then you’ll need the services of a data company to cleanse and enhance your data. Data matching involves comparing personal information records held by one body against records held by another. In this case, your own first party data and the data accessible to the third party data company you’ve chosen to work with. A third party company’s data quality audits, cleansing and enhancement services are only as good as their ‘Match Rate’ with your data. The better the Match Rate, the better their ability to assess your data for cleanliness. Ideally, you want a Match Rate of 80% or over. With a poor match rate (less than 60%), the analysis and services will not provide conclusive results. In the instance of our married, relocated and promoted customer, data matching would enable you to pair and validate names, addresses and numbers with more accurately, updated records held by other data suppliers. This may involve the use of fuzzy matching algorithms to search for and link record fields that are similar, but not 100% perfect. Data providers obtain and validate their data using different collection and validation methods. Depending upon those methods, the breadth of their coverage, and the data they hold, Match Rates can differ massively. 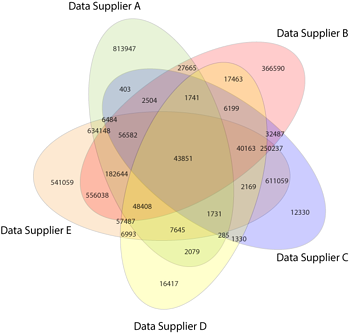 As shown with this diagram, which analyses five of Blue Sheep’s data providers, only 43,851 records out of the four million supplied are present in all five databases. It highlights how important it is to choose a data company with access to as large a consolidated data files as possible (like the UK Business and Consumer Universe™). Depending on one data provider, or even several providers, will not guarantee an accurate and trustworthy view for data analysis, cleansing or insight. As an aside, it is worth mentioning that Match Rates is also a term used by data onboarding companies, who bring offline data (CRM, point of sale, call centre data and so on) online. Here, data matching involves linking cookie data collected from internet browsing to a user. This it to build a richer user profile for targeted web advertising. Onboarding does not cleanse and enhance personally identifiable customer records, rather an anonymous audience profile of someone you do . 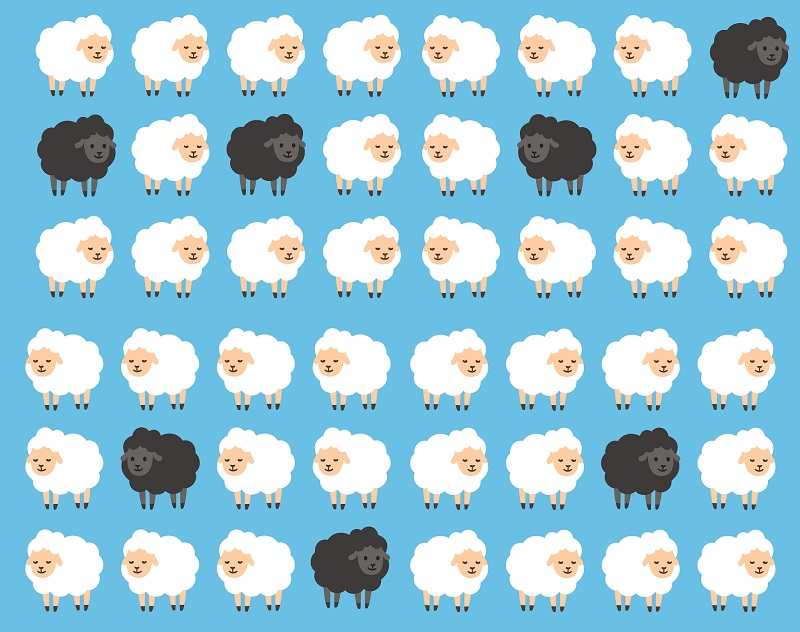 Matching data, as Blue Sheep know it, audits many different pieces of information. It verifies whether addresses are in the correct format (spelt correctly and to the desired standard), and reveal where new addresses are available. It can do the same for telephone numbers and date of birth. Importantly, data matching checks against suppressions (gone aways, deceased persons etc. ), along with preferences services, too. This ensures you have the correct data to build an accurate, up-to-date customer record, and the foundation for more efficient and effective marketing campaigns. To learn more about our data quality audits, and the benefits of cleansing and enhancing your customer data, get in touch with one of our team, who will explain how the process works. 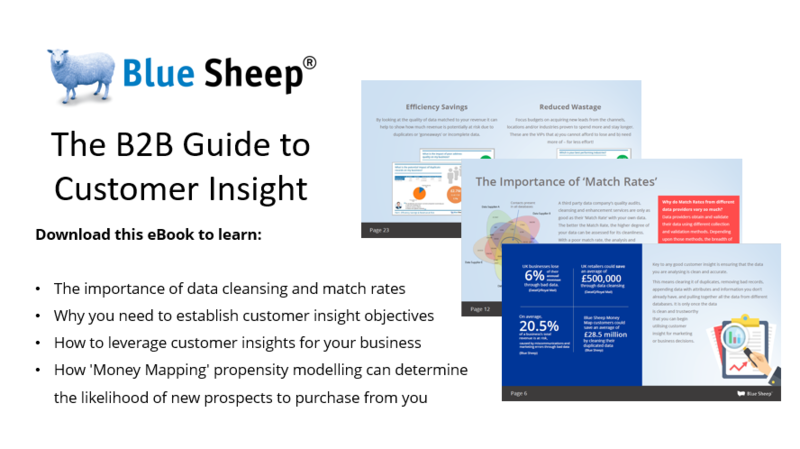 We can also show you how your improved data can be put to use identifying your most profitable customers with a Blue Sheep Money Map.